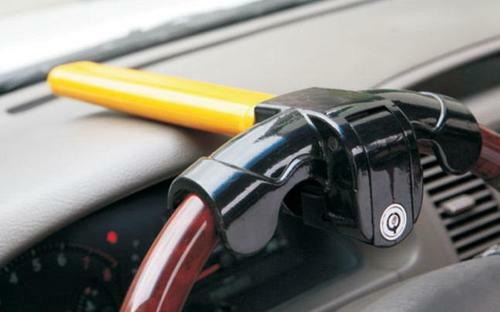 Can’t Steer it, Can’t Steal it: Is a Steering Wheel Lock Still the Best Defense? With new technology come new challenges. Now that the majority of exotic sports cars and luxury cars on the roads today feature keyless entry and a variety of high-tech alarm systems–thieves are savvier than ever before. Some police say the old-fashioned steering wheel lock may remain the best defense against auto theft because thieves can clone keys in seconds and use other techy methods to gain access instantly and drive off.